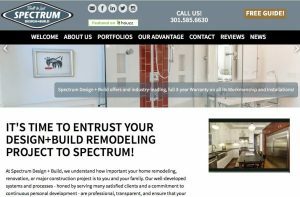 Long time client, Spectrum Design Build, had upgraded to a responsive design in 2014, but that is ancient in cyber. So this year, owner Keith Vaughan, invested in a full redesign in order to deploy newer techniques and design layouts. Check out Spectrum’s newest website!